3D printing has become a powerful force in today’s manufacturing industry from prototyping to tooling and fixtures to low-volume, end-use production. Many businesses struggle to find the right additive manufacturing solutions that suit their needs and provide return on investment (ROI). Selecting the right platform to prevent manufacturing roadblocks is vital to optimizing your manufacturing line productivity. 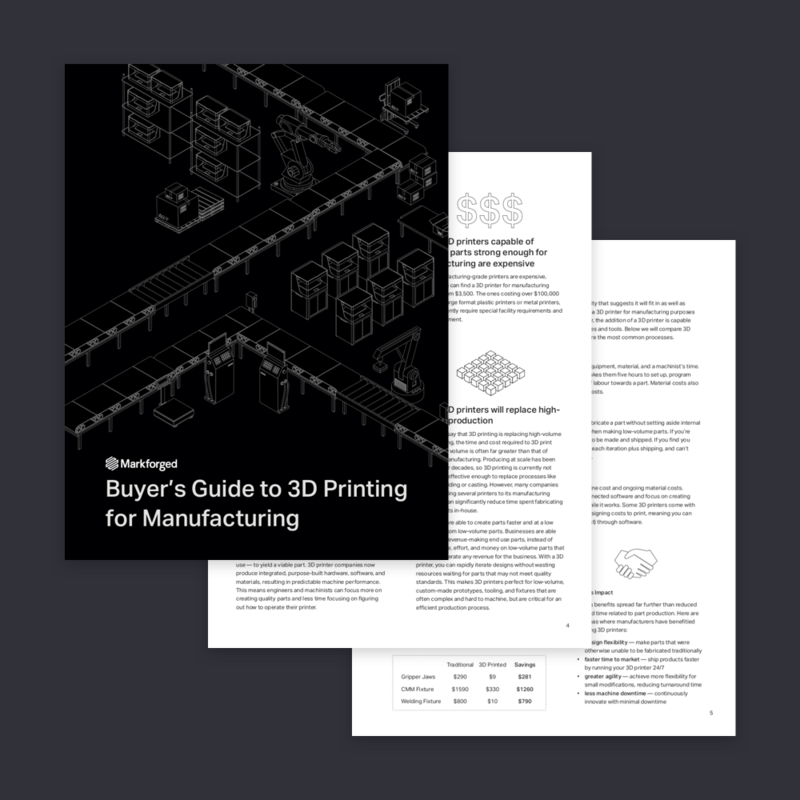 Download the all new buyer's guide to help you assess the key considerations in selecting a 3D printer for manufacturing applications.